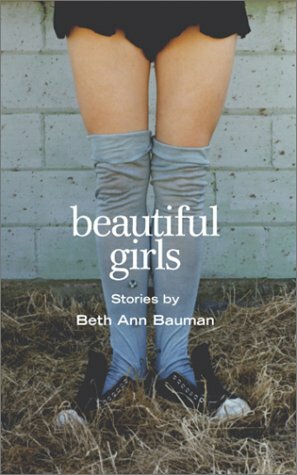 In this collection of eight stories Beth Ann Bauman explores the lives of girls on the verge of womanhood, and women who have made it, but found the glittering prize of love to be more than a little elusive. Each of the main characters is engaged in their own quest for romantic or emotional attachment; each with their own reasons for disappointment and their own sources of hope. The stories range widely, from a young girl observing the disintegration of her parents' marriage through sisters with their different takes on each other and on boyfriends, to adult women whose relationships have soured, but who persist in their search for love. The sole male protagonist is as lovelorn as his female counterparts, with whom he shares a sense of bewildered alienation. There are some marvellous and memorable characters. Libby of Wash Rinse and Spin has major laundry issues that are played out against her devotion to her dying father. Fiona of Wildlife of America is 'rehabilitating' in her sisters' apartment following the end of a relationship. Her chance date brings an unlikely cast together in a farcical, tragic, but moving finale; Adam and Eve are a couple of latter day primals who can barely manage an original sin. The stories are a varied lot. Safeway borders on the surreal, with a shoplifting middle aged woman, urgently needing a toilet, stumbling in darkness through racks of bloody carcasses. The title story Beautiful Girls is a closely observed study of seventeen year old Dani's friendships with sisters, girlfriends and boyfriends that takes us as close to Dani as it is possible to get without being there: 'I reached across the table and touched her hand, feeling the delicate bones and small swell of blue veins and wondered what it was like to be Inggy inside that long stretch of white skin.' True revisits the coming of age theme, this time through the eyes of Robin, who hates her lousy personality, and can't bring herself to tell her friend Janet the lies Janet wants to hear. The writing is generally spare, the characters well drawn and credible. Bauman has an eye for the ordinary, innocent detail that anchors a mood or observation without sentiment. There are a few instances of over description that would have benefited by closer editing. In True, we read that Robin's anger 'instantly fled her body'; and another girl 'furiously whispers'. At other times a nicely drawn image is spoiled by explanation. Fiona is defrosting the freezer when her boyfriend and her good friend Patty call to break the news that they have fallen in love. As chunks of ice splinter and crack in the freezer, Bauman explains 'I thought I'd crack in two'. Greater confidence in the image is well justified. The stories leave little resolved, and that is a strength of Bauman's writing. Where some readerships seek an ending, Bauman provides a sharp portrait and leaves the reader to devise their own resolution, or not. The range of ages and situations, and Bauman's depth of observation take us to the edge of her characters' lives, like spectators who can see more than the characters themselves. We might want more for them, but that is our own wish to step from our seats to their stage, and Bauman is content to tell their stories without imposing some sort of manufactured completeness. If you want more, like I do, you'll look for more writing from Bauman.